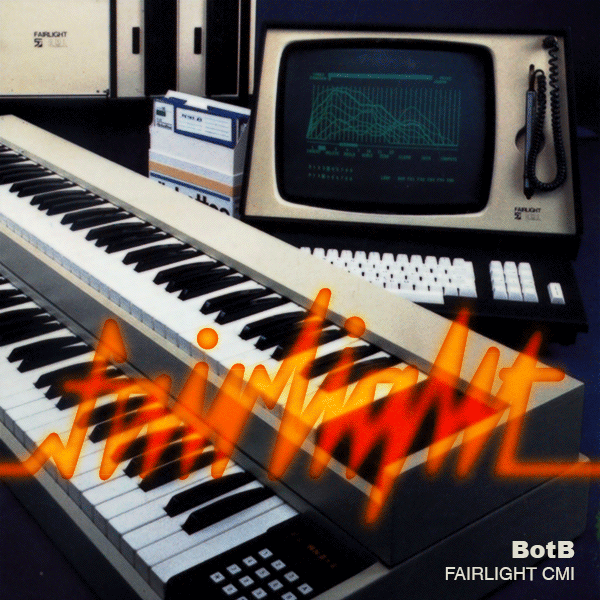 The Fairlight CMI was the first digital sampler. The samples in the bitpack are taken directly from the floppy disks that came with version IIx, which is 8-bit. This is the entire library - 512 samples! The Fairlight CMI had two built-in sequencers, but the most famous one (used on dozens of hit records in the 80s) was called Page R.
It's in many ways the grandfather of the trackers we use today. It's a monophonic, pattern-based, 8 channel composer. Use only samples from the pack, and you can't mangle them beyond recognition - they must have that "Fairlight sound". Use a maximum of 8 channels/tracks (for you MIDI/DAW users: monophonic only). No NNAs or anything fancy. Pretend like it's 1983. No pitch bends, vibrato, or any other note FX. Page R supports note on, note off, and velocity (volume) information only. Using reverb/delay/whatever to treat the sounds is OK, since the original machine has individual outputs for each channel, and most people spice the sounds up with FX.